SHREVEPORT, LA (KSLA) - February is heart health month and Heart disease is the number one cause of death for both men and women in the United States. 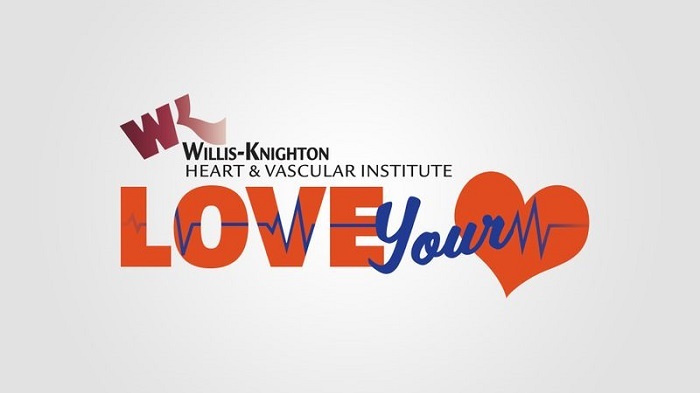 Doctors at Willis-Knighton want to make sure kids are getting the right education on how to be healthy, so they have a lower risk of developing heart disease. "The main issue is that as a child when you start with bad habits, they carry on through to adulthood. So you really want to instill good habits in children so when they become adults, they're not hurting their bodies," said Dr. Michael Langiulli, an interventional cardiologist at Willis-Knighton. It's important to know your history of keeping a healthy heart. One in five children are diagnosed with obesity, doctors are seeing children with high cholesterol and blood pressure. "Plaque build up really starts from the time you're born, it's how fast it progresses that determines whether you're going to have heart disease or not," Dr. Langiulli said. High cholesterol, obesity, and high blood pressure increase your child's risk of heart disease and problems as they grow. "I can say in the last 5 to 10 years, I've seen my share of 30-year-olds who come in with heart attacks, who come in with significant cardiomyopathies or weak hearts, and that has to do mostly with their habits. Most of the people I see in their 30s and early 40s who have heart problems usually have been smoking since they were teenagers. They don't exercise. They eat a non-healthy diet," Dr. Langiulli said. Doctors say parents need to start teaching children how to take care of themselves and live a healthy lifestyle through exercise and a good diet. "Be together as a family, if you're going to exercise, exercise together. By being a good example, is the best way to show a child what he needs to do," Dr. Langiulli said. Julie Hartley is a Registered Dietitian, licensed nutritionist, and certified health coach at Willis-Knighton. She explains that children learn by example, and are far more likely to pick up good eating habits watching what their parents eat. She suggests heart-healthy diets that have the basis of lots of fruits and vegetables, and contain healthy fats, like avocados and olive oil. "Parents cook more, but when we get kids involved in the kitchen, they're more likely to try things that they wouldn't have tried before, we get them involved in cutting up vegetables, and boiling water. Make them part of the process. So really, anything we're going to make at home is going to have more nutrient value, so that's number one, so just get them in the kitchen, get them involved," Hartley said. Dietitians say introduce your children lots of fruits and vegetables at a young age, it sets them up for making good choices when they get older. Hartley says 90% of your child's diet needs to be a whole food, plant-based diet, but you can have some splurge items in your diet with about 2-300 calories two times a week.